Get some fun and pleasure on your iPhone, iPad with the following Best Free iOS Endless Runner Games. Download them now FREE on your device. For the iPhone, iPad owner who wants to get lost in fun for hours, here we carefully made a list of some of the Best Free iOS Endless Runner Games to play FREE on your iOS (iPhone, iPad or iPod touch) devices. In endless runner game, there is a definite goal, keep playing until you lose. But they are the most fun! Run till you die. Let’s checkout some of the best endless runner / running iPhone games available for free on App Store. Temple Run 2 iPhone is one of the best FREE endless runner / running game for your iOS gadgets. The second part of the most popular running game comes with more improved graphics, more stages, obstacles, rewards, music, controls, theme, and will give you more tension. You will have to make many gestures to play the game: slide your finger across the screen to make your character turn corners, tilting the device from side to side to run more attached to the right or left, swipe up to jump, do the same down to slide across the floor. 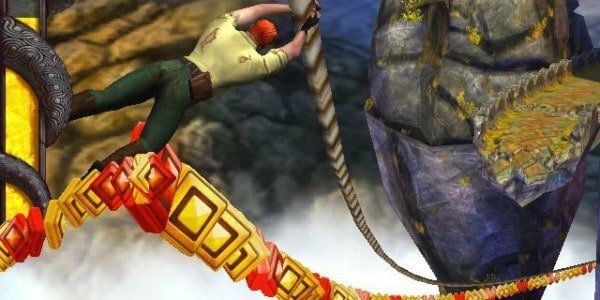 Temple Run is the top popular endless runner game in all mobile OS, weather it’s iOS, Android, Windows Phone or BlackBerry. Jetpack Joyride is another best free endless runner game, in a side-scrolling platform-style way, for iPhone. In this addictive running game you will have to fly as far as you can, while dodging obstacles, collecting coins and killing the scientists who run everywhere. The game has simple control; you only need to touch the screen. Touching any part of the display, the jetpack is activated. As long as you keep your finger on the screen the hero will rise up, stands Releasing your finger – will begin to decline, but additional vehicles managed differently, but the general principle is similar. Jetpack Joyride is an excellent game that combines addictive gameplay and excellent graphics. Your favorite blue hedgehog is back in this fast packed endless runner iPhone game. The game brings the famous Sonic in a 3D adventure that offers a Temple Run style gameplay. Your goal is to run at full speed with Sonic the Hedgehog, collect as many rings as possible while jump, dodge obstacles, eliminates enemies using the special abilities in its endless races with awesome 3D graphics. Punch Quest is an endless runner game with a retro graphic section typical of the era of the 16 bits where you will have to take control of a dwarf that simply runs to go up against all types of threat in a fantastic world. You have to kill all types of monsters that will come your way from the dungeons. Pressing the left side of the screen will stick to enemies with a jump up that will help you to avoid some obstacles and beat enemies flying overhead, while the right side will stick straight, forward, and you will move a little faster. 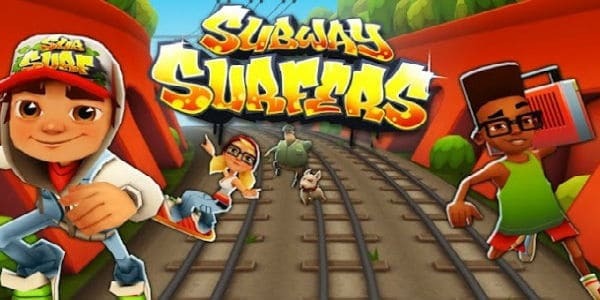 Subway Surfers is one of the most downloaded endless running game with stunning 3D graphics, smooth animation and good gameplay where the characters runs the subway tracks and runs away from cops. There are numerous challenges throughout each phase. There are even some extra accessories to help the character escape, and that includes even a small jet. Publish your results in social networks and compare with your friends. Despicable Me: Minion Rush is a fun game to run without stopping starring funny minions, yellow characters from the movie Despicable Me 2. Play as a Minion and compete with others in hilarious, fast-paced challenges in order to impress your boss, (former?) super-villain Gru! Participate in funny competition, fight bosses, explore secret rooms, collect gifts and take part in mini-games. As a robotic machine, designed and programmed to run, your job is to pass the most possible distance without dying. Gamers are challenged to be surpassing several levels, while running to cross a wonderful 3D city. Do not let the laser turrets, drones attack or obstacles to curb your escape. Agent Dash is an action game in running style that puts the player in the role of several secret agents, your job is to run quickly through levels filled with obstacles and grab all the diamonds you can. Use intuitive touch gestures, such as swiping to the right, left or up to control your character. In some parts it may also be necessary to use weapons and shoot. To do this, just tap quickly in any corner of the screen. The game stands out especially for its cheerful, colorful and above all for its gameplay graphics. Use your skills as a secret agent and escape the most dangerous pitfalls that put your enemies as powerful laser beams. 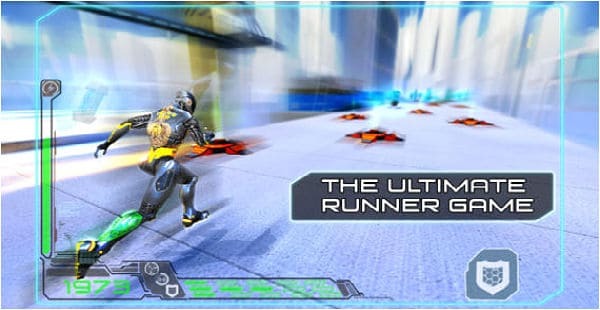 Amazing Runner for iPhone is another best endless running game with unique animations, high quality music, intuitive controls, colorful and vibrant graphics and a crazy endless track that is full of surprises. In this game you will run on different roads, spins upside down, sideways, and throws some loops in for good measure, while collecting coins and stones, dodging cars, robots and holes. Download one of these excellent games above and get lost for hours in fun. Share your favorite Endless Runner game for iPhone in the comment section below.